Hamish, you've been practicing yoga since 1986. What was the yoga world like when you first started, and how has it changed? ​When I first started Astanga the world of yoga was small. I thought Astanga wouldn’t take off as it was so hard, how wrong was I. There were no yoga mats, just German carpet underlay that got cut into six-foot strips -- if you were lucky they were rectangular. And you can forget about your fancy leggings. At 19 my mind was very much into exploring. I read whatever books on yoga I could get. Amazon was still eight years away. My teachers Derek (Ireland) and Radha (Warrell) took me very much under their wing and I fitted in as best I could. I felt devotion to the teacher, which was and still is a very important aspect of yoga. More about that later. It took me a few years to get to Mysore, mainly because I didn’t have enough money. When you’re young and living hand-to-mouth, not caring about the future seemed normal. I was brought up in the country, surrounded by hills and small farms. My first trip to Mysore was an eye opener. Crazy Indian city life. Guruji had that proverbial twinkle and I knew right then my story was going to be continued in Mysore. Has Mysore changed? Of course, everything does. Obviously there are more students, that was inevitable. But it’s lovely meeting new people, and seeing Guruji’s work spread worldwide. I suppose the most telling difference is that when I first went, there was no authorisation, just this mythical certification of only about a dozen people. One didn’t go to Mysore to obtain any piece of paper. You went to learn yoga from Guruji. To touch his feet. Yoga hasn’t changed, just the people have changed. People still have the same problems, enlightenment is still there, or not. Everything else is just decoration. The summer of 2016 could be called the "Summer of our Discontent" as a move against multiculturalism, the rise of extremist politicians and violent attacks gripped the globe. It seems we are truly living in Kali Yuga, the age of strife and discord. What, then, is the point of our inwardly-focused yoga practice in times like these? People have always suffered, there has always been death and untimely death too. Snatched away. There have always been troubles in the world, news reporting and social media have just shrank the world we live in. They've helped spread the words of both peace and war. But yoga can help us personally. If our inner world is sorted our exterior world becomes easier. From a physical point yoga provides us with health and a quick responding mind and one that can deal with stress. There is a saying: "A yogi always has what they need." What that means is up to you. Always prepared? Always adaptable? There is nothing one needs? I would say all three, thinking of possible futures, prepared. We are the most adaptable animal, hence our survival. What stops us personally adapting is frozen brain syndrome. Fear of change. When you truly have what you need -- shelter, food, water, the basics, with yoga you find less truly is more. Blessed to be alive. Should we be proactive in the world? It is a difficult question and I’m always reminded by Patanjali 2.34, which says we should not let harm be committed, caused or consented. So we should stand up for the weak and oppressed. Ahimsa is the first yama, the most important and the hardest. If we try to follow it then we will create peace around us. What is the role of the teacher-student relationship? The role is vital. Without it, yoga is very difficult to learn. I’m not saying this because I’m a yoga teacher and I want your money. (We all need money to survive). But I’m a yoga student as well and have been for much longer. Yes, I first learnt some asana from books. But as soon as I found a teacher my path changed. I had focus. I felt someone cared about my spiritual life. All relationships are about trust. But the teacher-student relationship is also about humility, which is a vital lesson to learn. How insignificant we are in the universe. But how central we feel. A teacher helps break down the ego in a loving way. Sometimes the relationship can be difficult as the mirror held up doesn’t always reply "You are the most beautiful in the land." As it says in the BG 2.54 'how do they speak, how do they sit , how do they walk." Follow that. Follow their path, the destination. Don’t copy every move, you have to find your own way -- the teacher just holds the light and passes you the keys. What you do when the path is lit and you have the keys is up to you. How important are Teacher Trainings, learning Sanskrit and yoga philosophy? That’s three questions! So yes all three are important for different reasons. The first, teacher trainings makes someone wealthy, and provides some students with confidence. I understand the desire to learn more. Unfortunately there are few ways of going deep into yoga without taking a teacher training. Maybe this can be addressed. Self study for one is a great tool and should be followed, maybe you can ask a friend or two to join you in a study group. I suspect few students who take a TT go on to teach, or if they do they find little work as novice teachers. Few if any ever fail (to qualify) but it's just the first step. Does £3000 guarantee you as a teacher? The best way to become a teacher is through apprenticeship. It is personal and more intense. Sanskrit is a beautiful language, it sounds so nice. Like any language it can be a challenge to learn. Plus you can’t really go in to a cafe and say Kaphi Bhadram. But learning some mantra is lovely and it helps you focus, reminds you that there is something more to life. Learning the names of asanas in Sanskrit is very useful, everyone know what you’re talking about. Lastly, yoga philosophy. It’s easy to read many books on yoga philosophy but hard to take this into your life. As many books as you read they will not help if you don’t practice. It is practice that changes your mind, the way you think. This is what makes yoga so different from anything else. Practice brings all you need. But without philosophy it's just bending. 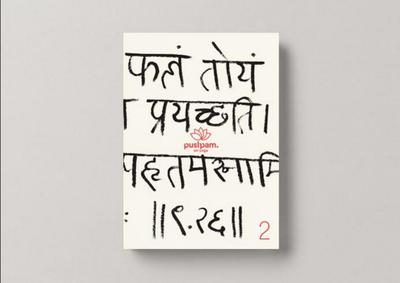 Tell us about Pushpam Magazine, the yoga magazine that you publish. How is it different from other yoga magazines that proliferate new stands? What do you hope to accomplish with it? 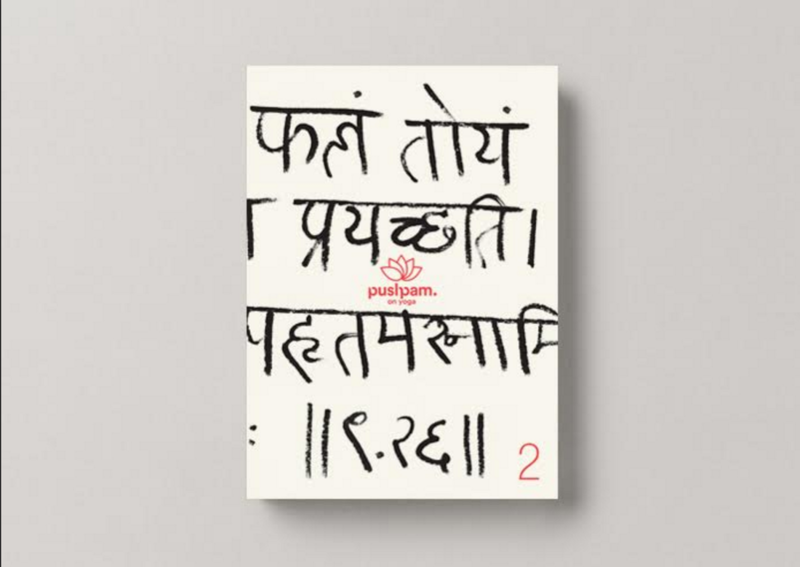 Pushpam was a thought that grew from a simple idea of a few simple notes for yoga students at AYL to something with a life of its own. I’m not the only one running the show, which works for me as I believe in sharing power. We as a group are pretty flexible, being yoga students. So we’re not tied to too many fixed ideas. We only have a few parameters. First, the reader should not feel anger, either with the author or with the people mentioned in any article. The reader should feel informed yet interested in delving further. We try not to be too particular to any one theory or practice. We’d like to give balanced views. We hope to create something of beauty and our designers Emma (Heatherington) and Matt (Roach) do a fantastic job; it's a pleasure to give them freedom and see them happy. Some of the things we don’t do are as follows: We don’t have adverts, don’t do how to do asana and don’t do hot yoga pants. This may disappoint some students but I’m not in it to please everyone. I can at lest hold my head high and put my hand on my heart. Now we get a lot of articles submitted, but at first we had to ask for stuff. We have some really good writers. People who have studied yoga philosophy at university and have a practice. Both are valid. We have writers who have had to teach themselves just to read and write. People for whom English is a second language. We try to keep it real. We’ve done some great interviews with certified teachers, which has been great fun and the unrecorded bit even more so -- sorry! We’ve tried to get the teachers to show more of themselves as a human being. We have a great chef, Tom (Norrington Davies) who writes for us, previously he’s been in the Guardian and the Telegraph. But I think he’d just like to have pictures of his cat in the magazine. We like to add a bit of lightness each issue, like the origami Ganesh in issue 2. We have built great contacts and learnt so much ourselves. Our friends have helped so much. 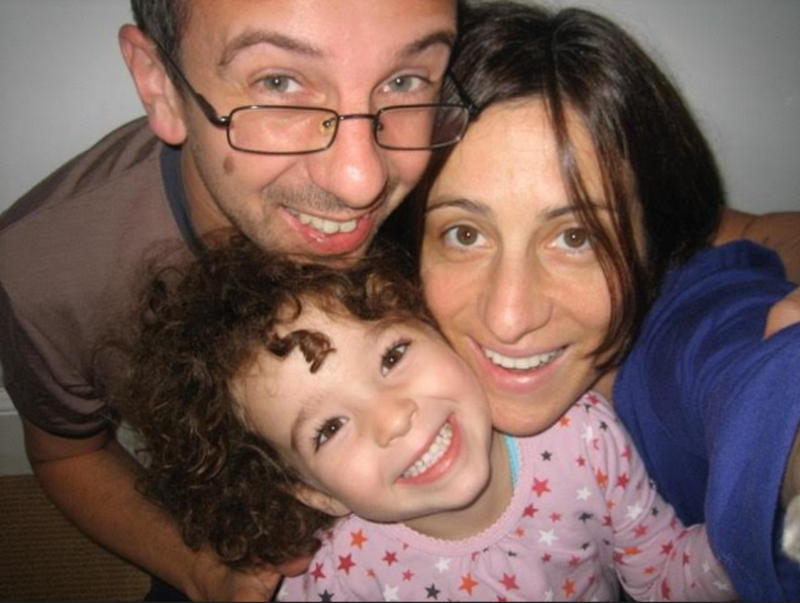 Zoë (Slatoff-Ponte) has helped with all our Sanskrit of which there is much to check. Chris (Patmore) has revealed himself as a master at proofreading, something I foolishly thought was easy. Our photographers have done us proud with pictures that are not in your face but have a subtle beauty. But most of all my biggest thanks goes to the editor Genny (Wilkinson Priest) without whom none of this would have taken off. She know me well enough to push me at the right time, hold my hand at others and wise enough to back off when I’m right. Our aim is to inspire students to practice, particularly those on their own, when times are difficult. This is when you need yoga most and when you learn from yoga most. What comes in the next issue is top secret, or maybe we don’t know. Editorial note: Visit the Pushpam website here.